Safe for direct food contact and provide outstanding resistance to aggressive cleaning practices. Reduce your flexible connector maintenance and changeout times by replacing your band-clamp or fixed connectors. Your solution when you need flexible connectors that are static-dissipative, FDA-acceptable, highly clear... or all three! 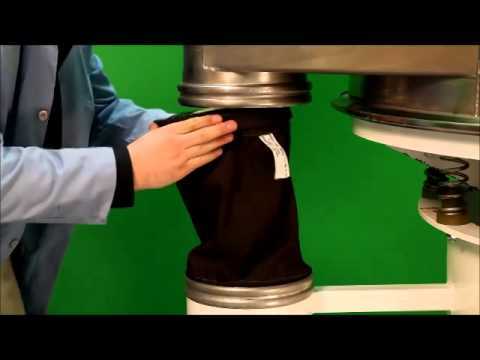 Premier provider of fabric connectors in any combination of length, shape, connection, diameters and materials. If you can design it, we can sew it! 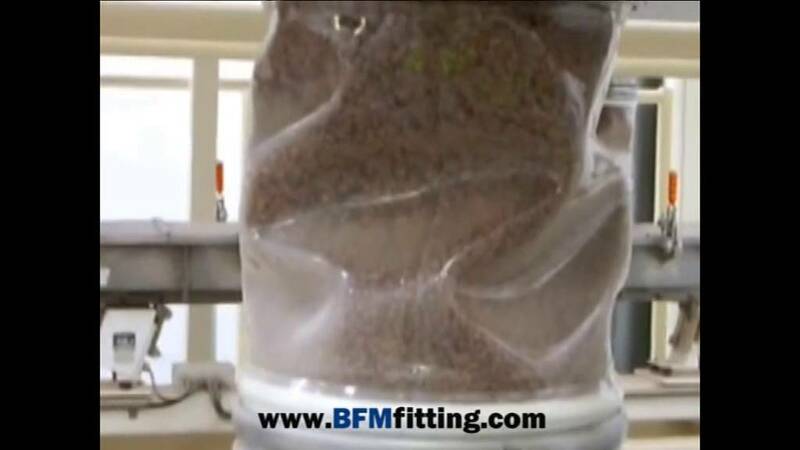 You can clearly see through the BFM fitting and watch the flow of Cocoa Pops. 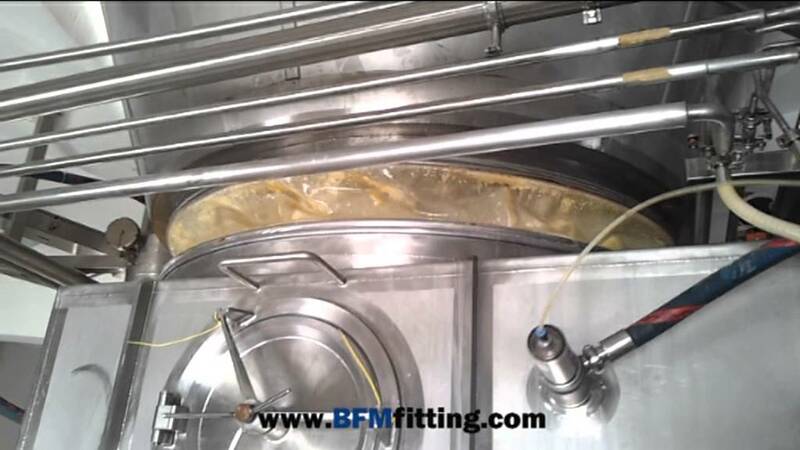 The BFM fitting is visibly cleaner than traditional connectors, while improving hygiene, reducing dust and vastly improving change over efficiency. 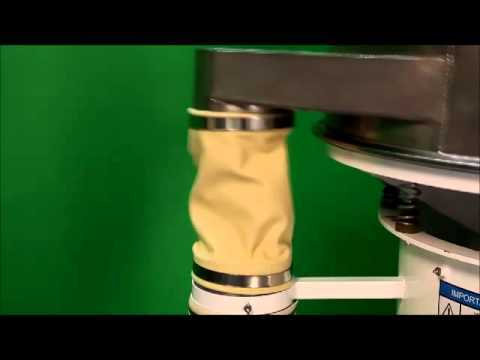 This is a video showing the BFM fitting in working perfectly with a large wood sifters. 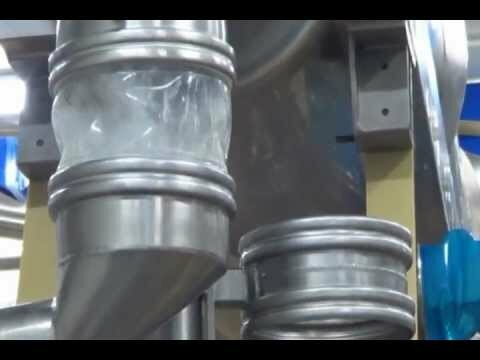 A video showing the large BFM fitting (revolutionary industrial flexible connector) on a Tetra Pak dyer. 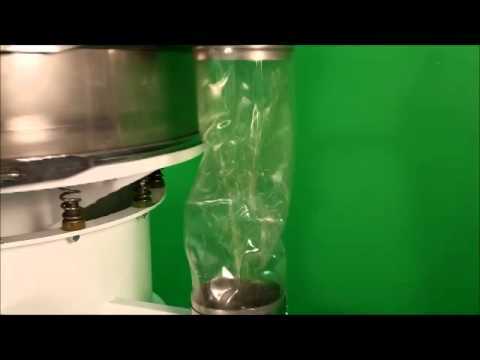 This is a video of the BFM fitting used during the CIP (Clean in Place) process.